Product prices and availability are accurate as of 2019-04-24 13:46:02 EDT and are subject to change. Any price and availability information displayed on http://www.amazon.com/ at the time of purchase will apply to the purchase of this product. 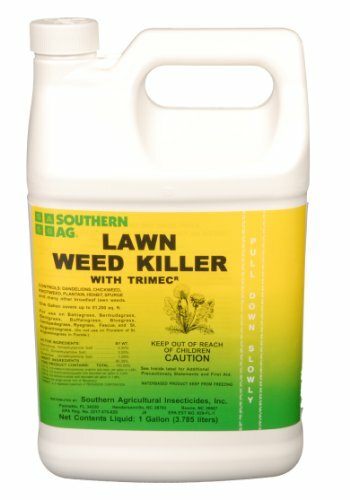 CONTAINS: 5.30% Mecoprop, 3.05% 2,4-D, 1.29% Dicamba. USE ON: St. Augustine (Note: Not for use on improved St. Augustine varieties in the South), bermuda, bahia, blue grass, fescues, rye and centipede. 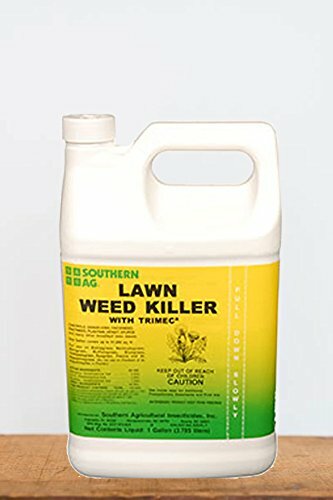 CONTROLS: Most broadleaf weeds. RATE: 1 to 1+ oz. per gallon to 400 sq. ft. for southern grasses. 1+ oz. per gallon to 400 sq. ft. for Northern Grasses. APPLICATION: Apply as a uniform spray with a fan nozzle on turf or follow the labeled directions for using a hose end sprayer. CAUTION: Avoid spray drift on shrubs & trees. Spray to accurately obtain indicated coverage.